Many Samsung Galaxy S4 owners emailed us asking how to get rid of the Armor for Android popups in their because aside from the fact that they didn't install the app, the popups are very annoying. For seasoned Android smartphone owners, going to Application Manager is the most logical step to uninstall the app, the thing is it cannot be uninstalled. Step 1: From the Home screen, tap the Menu Key. Step 2: Tap Settings then choose Location and Security. Step 3: Select Device admins and from there you can uncheck 'Armor' option. Step 4: Go back to Settings. Step 5: Go to Application Manager. Step 6: Swipe to choose All tab. Step 8: Tap Force Close button. Step 9: Tap Clear Cache and Clear Data buttons. 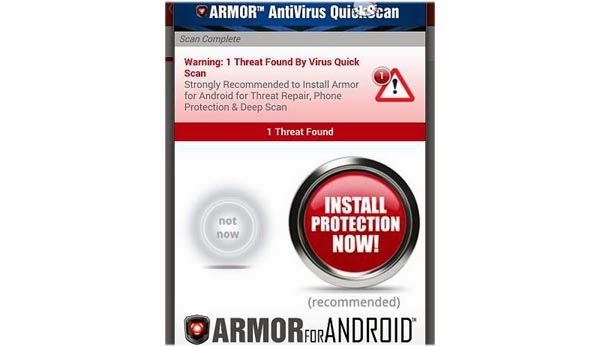 Following the steps provided above will make sure Armor for Android will be uninstalled from your device. We do hope this helps. If you have problems with your phone, feel free to email us at sebertech@gmail.com and we will find appropriate answers and solutions to your problems.